Lately, I’ve had zero time to blog. So I thought I’d quickly throw up a mishmash of the super important stuff that’s currently taking up all of my precious time. Let’s start with Gordon Ramsay. 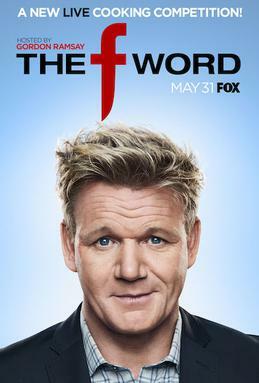 My favorite Ramsay show? It’s Raw! Where top-level culinary geniuses from around the globe forget how to cook a piece of chicken. While Gordon’s ranting and raving are a bit much, I do appreciate the enlightening cooking tips he dishes out to the contestants like razor-sharp jabs to the nads. It’s not f***ing cooked properly! Are you not f***ing getting that, you f***ing wanker! Maybe if I crouch down to your bloody level and f***ing scream in your f***ing stupid face, you’d bloody f***ing catch on! 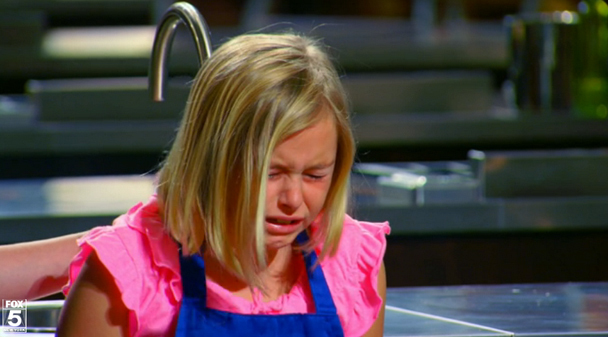 My daughter and I watch Master Chef Junior, because who doesn’t want to see an impressionable young child have her dreams crushed to paprika in front of millions of people? And every episode is chock-full of suspense. [ominous music] Will they cook it right? Speaking of salty, what in the bleeping name of Jiminy Cricket is going on with these dagnabbit hoozeewhazzits? My kids begged me to buy them one. All the cool kids had one and all the uncool teachers hated them. They were sold out everywhere. Weeks went by, and my kids were still sans Zigzag Dilliwackers. Finally, we stumbled upon a stash at the local pharmacy. I couldn’t wait to see what all the hubbub was about. Is it magic? Is it a game? Is it like a Rubik’s Cube? My daughter got one of those fidget cubes. After about three minutes of clicking and snapping, I snatched it from her neurotic little hands and threatened to smash it with a hammer. “But, mommmmm, it has quiet buttons, too.” I said I could make the whole bloody thing have quiet buttons. I seem to remember this toy called Bop It! It was a handheld doodad my kids played with that pretty much made me want to become a reclusive monk in under 3 minutes. Satan’s Pantry! HA HA AH! Ooh, bubble wrap! Why didn’t I think of that? Sadly, my kids each have a fidget spinner now. The best part? My daughter informed me they come in about 2 kazillion colors and shapes and sizes so she wants more. (!!!!) Good to see you, MJ! Happy summer to you as well. How nice to see your lovely, java-sipping avatar on my to-read list! My dad told my brothers if they played with their zigzag dilliwackers too much, they’d go blind. I admit that I like watching the Gordon Ramsey ‘Hotels From Hell’ and the ‘Restaurants From Hell. Even more so when the people he tries to help turn on him and the slagging match ensues. OH, yes! The slagging is epic! I actually watch those too, and it is sad and hilarious at the same time. My kid likes to watch Gordon, too. What’s up with that? At least it got my kid to make buttermilk battered, fried chicken from scratch. Because we’re homeschooling, watching his videos and then actually cooking something actually counts as educational. I’ve gotten my kid many different types of fidgets over the years, and spinners are one of my favs. He used to have to play with a Hot Wheels car when he ate, to help his coordination and focus. Those little metal cars do a number on a wooden table over the years! Glad to see you again. Yet another thing my son and yours have in common. My son went everywhere with a Hot Wheels car in each hand. It was the only way we could get him to focus or calm down (a little) in public. Hot Wheels car – a time tested fidget. Me like eat, but me not like cook. Me not want cook. Me not even want to watch cook. Me put new fidget spinner in display case next to pet rock. Me like to watch others cook. And clean up afterward. Me like to spend all my time spinning a useless toy that costs way too much. My hands down favorite blog post style is “stream of consciousness email to your best friend” style. Needless to say, you had me at the quick pivot to fidget spinners. I’m always happy to just spit out a post, throw in some fidget spinners and call it good. 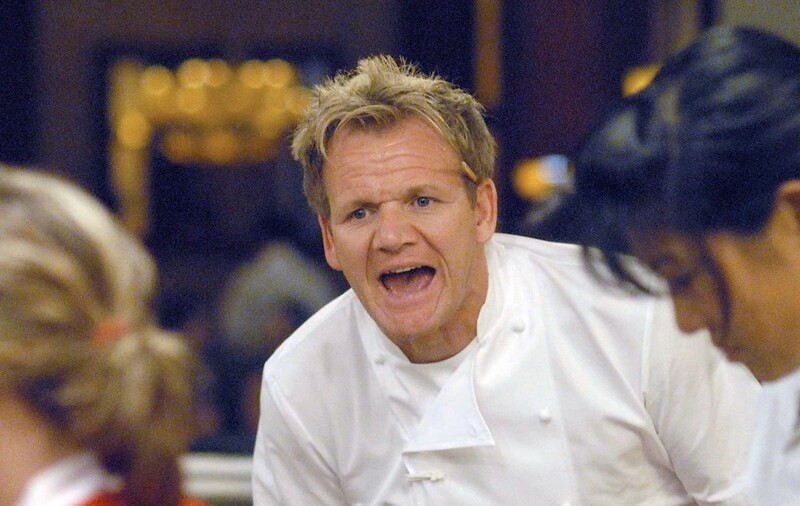 I personally find the four most soul-crushing words in Gordon Ramsay’s vocabulary to be his quietly delivered, “Damn. What a shame.” Best served accompanied by a slow, dejected shake of the head. Gordon wanted to like your dish. BUT YOU RUINED IT. Time to go into the pantry for a cry and to contemplate your life choices, you monster. Ooh! What channel is that baking show on? My daughter lives to bake all the things. This is way late, but it’s on PBS, I believe (they also have a few seasons on Netflix). I’ve heard a lot about fidget spinners, although I’ve rarely seen one. But I think as kids toys fads go, this is a pretty benign one – it’s cheap, it doesn’t involve staring at the screen, and it’s more exercise than texting. The one thing we can all count on are toy fads. I remember in the 70s we all wanted a pogo stick. My dad finally caved and bought one for us for Christmas and I think I jumped on it once, fell down and left in in the yard for all eternity. And here I thought that spinning WAS fidgeting … obviously that was just back in the olden days. We got in trouble for THAT too. Good to see you Darla! Enjoy the summer. You too, Elyse! We are going camping on the ocean around the Fourth of July. Wish us luck we survive…. It’s easier to pitch a tent on land, I think. More comfortable sleeping in a bed. OMG!! I’m laughing so hard I just pee’d my pants!! 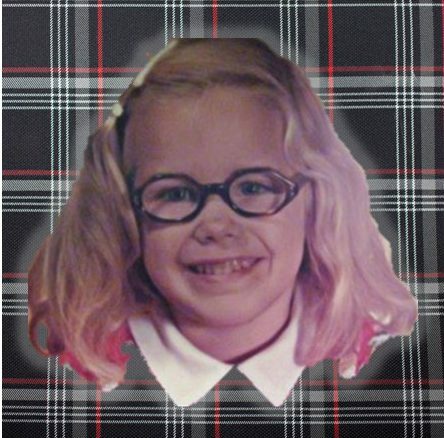 Actually I misspoke- I’m wearing a skirt. Thanks for the chuckles. ❤💋 Now please pass the towels. 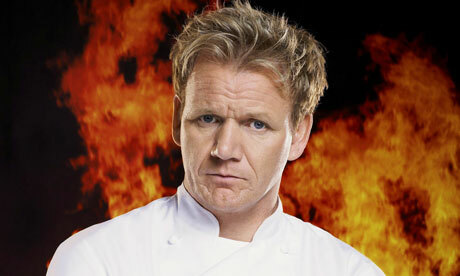 I am also mildly obsessed with Gordon Ramsay. I have seen every episode of ‘Ramsay’s Motherf*cking Kitchen Cocking Wanking Nightprickingwares’ and it fills me with joy. As for those widgety bollocky someone-has-made-a-lot-of-money-from-getting-kids-to-spin-plastic-in-their-hands spinning things, my mind is officially boggled. I might come up with something called a Hand Object, which is basically just a pebble that kids can hold in their hands for a bit and then put it down somewhere when they get bored. I’ll make a fortune. Well, bloody f*cking risotto balls! They don’t air Ramsay’s Motherf*cking Kitchen Cocking Wanking Nightprickingwares where I live. And welcome to my blog, pleased to make your acquaintance. what does ‘zero time’ mean? My friend’s son has a zully-bobwit and I asked him the same thing. “So now what?” He looked at me like I was completely clueless (which was true). Very true. I still remember the slinky jingle: “The slinky, the slinky…for fun it’s a wonderful toy…it’s fun for a girl and a boy!” Yeah, it’s just a coiled piece of plastic, people. Fidget spinners are for husbands who are with you when you are visiting their least favourite relative and they (the aforementioned husband) has nothing to contribute to the conversation, and is getting more and more fidgety as the least favourite relatives dog barks louder and louder. I might have to give my own husband a fidget spinner when my mom drops by and talks his ear off for an hour. If I’d invented fidget spinners I’d be blogging from Fiji instead of here. Remember Silly Bands? All you need is that one fad to get the kiddies hooked and you’re on easy street the rest of your life. Get busy! The F Word isn’t really a TV show, is it? I hope not. Ran out of ideas. Desperate for content. Ha! The spinners are perfect for my fidgety son, but I would constantly be picking it up off the floor. Great to “see” you! Missed this while I was gone for a month. I’m still getting back into the swing. How are things in Maine? It’s on our travel list now that Danny made one. My god I needed this post this morning.